It's important to select the right team. Experience makes the difference. When choosing a builder, it's important to know you're not just selecting one person to build your dream home. You're choosing the team that will make your vision a reality! 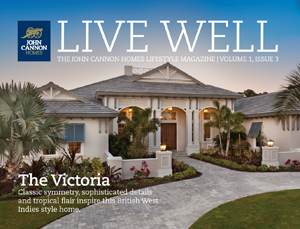 Our extensive knowledge and combined experience makes the John Cannon Homes team the right choice. "We visited their models - along with other builders - and the quality of construction, the style sense, it was all there with John Cannon Homes." Our team approach begins with your tour of a John Cannon model home where you will meet one of our knowledgeable Design/Build sales specialists. They are prepared to provide information about floor plans, products and options along with community information to assist you in finding the perfect neighborhood for your new home! The John Cannon Homes in-house team of designers creates innovative, luxurious floor plans and works closely with our interior designers. From the pouring of the foundation to the finishing touches, the construction team works to ensure that the highest standards throughout the home building process are met. John Cannon continually reviews progress at every job site. It is this commitment to excellence that separates John Cannon from his competitors. As a new homeowner, you can be assured that John Cannon will settle for nothing less than perfection.